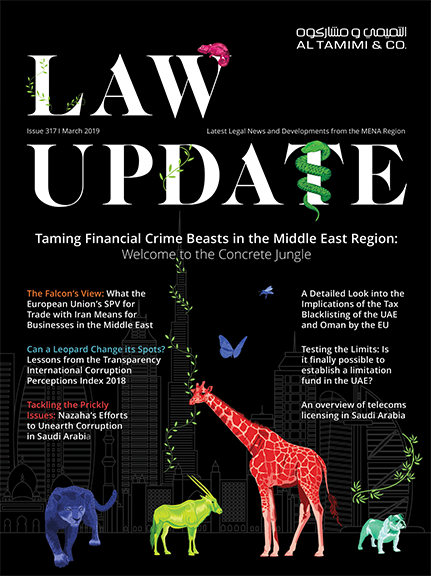 In the UAE, arbitration is regarded as an exceptional and special dispute forum through which parties agree to resolve their disputes. Perhaps the most obvious criterion, but one which is often overlooked, is the requirement that parties who wish to arbitrate their disputes must have a valid arbitration agreement. The UAE Civil Code (see Article 203(1)) allows parties to insert an arbitration clause in the main agreement / contract (arbitration clause), or to enter into a subsequent agreement to arbitrate. Other important requirements are that the arbitration agreement must be in writing and signed by a person capable of binding the party in question to arbitration. Of course, as with any commercial transaction, the thought that the relationship may deteriorate to the point where a dispute may arise is often not within the parties’ contemplation at the time of contract formation. The result of this can be the drafting of an arbitration clause which is invalid or impractical (i.e. pathological). This article does not intend to cover the main ingredients of an arbitration clause or how to successfully draft one. It does, however, intend to cover the likely outcome when one party makes an assertion that either the main contract or the arbitration agreement therein is invalid. Such assertions are generally made with a view to claiming that an arbitrator does not have jurisdiction to determine the dispute which has arisen between the parties. The jurisdiction of the tribunal is, of course, absolutely fundamental to the issue of whether the arbitrators have the power to determine the dispute. Awards which are issued in the absence of jurisdiction lack legitimacy. A lack of jurisdiction presents one of the very few available grounds upon which a party can seek to have an award set aside in the competent court. Issues of jurisdiction are generally decided in the early phase of the proceedings, because before deciding on the substantive issues in dispute, a tribunal must satisfy itself that it has jurisdiction. It is, however, sometimes the case that a decision on jurisdiction will be indicated with the final award. The doctrines of separability and competence-competence have developed to reinforce and strengthen the jurisdiction of a tribunal. Both concepts are recognised in the UAE. A distinction must be made between whether the issue at hand relates to the validity of the main contract or the validity of the arbitration agreement within that main contract, or both. A determination as to the validity of the main contract (which contains an arbitration clause) is usually within the jurisdiction of an arbitral tribunal. This is because of the principle of separability. The essence of this principle, which is embodied in the rules of many arbitral institutions, including those of the DIAC and DIFC-LCIA, is that regardless of the validity of the main contract, including whether the main agreement has been terminated or was void from its very beginning, the arbitration clause within that main agreement is to be treated independently. The Arbitral Tribunal shall have the power to rule on its own jurisdiction, including any objection to the initial or continuing existence, validity or effectiveness of the Arbitration Agreement. For that purpose, an arbitration clause which forms or was intended to form part of another agreement shall be treated as an arbitration agreement independent of that other agreement. A decision by the Arbitral Tribunal that such other agreement is non-existent, invalid or ineffective shall not entail ipso jure the non-existence, invalidity or ineffectiveness of the arbitration clause. 6.1 Unless otherwise agreed by the parties, an Arbitration Agreement which forms or was intended to form part of another agreement shall not be regarded as invalid, non-existence or ineffective because that other agreement is invalid, or did not come into existence or has become ineffective, and the Arbitration Agreement shall for that purpose be treated as a distinct agreement. 6.2 If any party raises one or more pleas concerning the existence, validity, scope or applicability of the arbitration agreement, then the Executive Committee may decide, without prejudice to the admissibility or merits of the plea or pleas, that the arbitration shall proceed if it is prima facie satisfied that an arbitration agreement may exist under the Rules. In such a case, any decision as to the jurisdiction of the Tribunal shall be taken by the Tribunal itself. Party A and Party B enter into a main contract, in which they decide via an arbitration clause to resolve certain disputes arising out of or in connection with the main contract by way of arbitration. This arbitration clause is valid under UAE Law. Party A terminates the agreement for breach of contract by Party B. There is, however, a dispute between Party A and Party B over the quantum of damages owed by Party B to Party A for Party B’s breach of contract. Notwithstanding the fact that the agreement has been terminated, the arbitration clause survives and the dispute over damages owed must be resolved by arbitration in accordance with the clause. Put simply, under the principle of separability the arbitration clause survives termination and provides the parameters by which disputes are to be resolved. The legal doctrine of competence-competence assists by overcoming the curiosity which results from decisions of an arbitrator on his or her own jurisdiction. Under this theory, issues as to the validity of an arbitration agreement can be determined by a Tribunal. A quick example of this is as follows: Party A and Party B have an arbitration clause in a main contract. Party A thinks the clause is valid and commences proceedings against Party B, who thinks the clause is invalid. Party B launches a jurisdictional challenge on this basis, and the Tribunal rules accordingly. The end result could be that the Tribunal determines they do not have jurisdiction. The immediately obvious question then becomes, of course, the basis upon which an arbitral tribunal could have been empowered by the parties to determine its own jurisdiction in circumstances where the tribunal lacks jurisdiction? The doctrine of competence-competence, which is sometimes referred to as a legal fiction, has developed and found its place in most modern arbitration rules and laws to overcome this issue and also to avoid the parties having to involve the competent court at an early stage at potentially great expense. It is important to note the difference between competence-competence and separability. The former allows the Tribunal to determine its jurisdiction. The latter has an impact on the outcome of that determination. Without separability, a tribunal employing competence-competence to determine its own jurisdiction may be required to deny jurisdiction of the substantive merits, because the arbitration clause could potentially be affected by the invalidity of the main contract. Finally, arbitrators are often faced with a partial challenge to their jurisdiction. This may arise in a dispute over termination of the main contract where a party may be making a number of different claims for relief. Often, arbitration clauses contain pre-conditions before being able to arbitrate, such as the initial referral of a dispute to the Engineer for determination (as is often the case in FIDIC type contracts), or notification in writing to an opponent of the existence of a dispute. Pre-conditions to arbitration have been recognized and upheld by the UAE Courts. In the above case, it often transpires that the party commencing arbitration proceedings has adhered to the pre-conditions to arbitration in the case of 6 out of 10 claims referred to arbitration. It may, therefore, be open to the responding party to argue that the arbitral tribunal has no jurisdiction to hear the remaining 4 claims, because the pre-conditions to arbitration were not satisfied. It is open to the arbitrators to rule on their own jurisdiction in such circumstances – i.e. to determine for themselves whether the pre-conditions have been satisfied, and, if not, whether the failure to satisfy them impacts adversely on their jurisdiction to determine the dispute relating to those claims. Where [a court action has been brought regarding a tribunal’s jurisdiction], arbitral proceedings may nevertheless be commenced or continued, and an award may be made, while the issue is pending before the court. Parties often seek to challenge a decision on jurisdiction in the competent court as a matter of tactics, perhaps in an attempt to delay or disrupt the arbitration proceedings. Arbitrators are not, however, obliged to stay the arbitration proceedings in such circumstances.